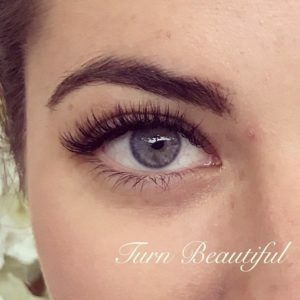 What type of eyelash extensions will suit me? How long will my eyelash extensions last? I don’t want my eyelash extensions to look false? …. Concerns and worries you may have about your eyelash extensions, this may help. There are now so many different types and brands of eyelash extensions on the market, but for some of you this could be the first time considering the look. So if you are a eyelash extensions virgin then there are a few things you and your lash technician will be looking at. However, first thing first! Choose your lash technician wisely. Xtreme Lashes. The list goes on…. 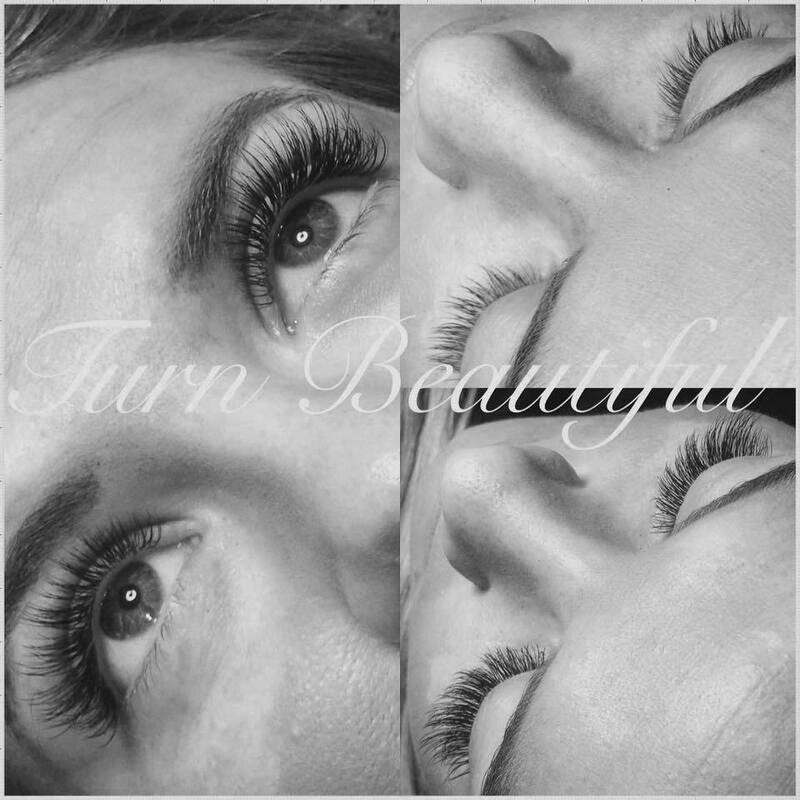 Once a lash technician has attended their training course they then should go away and complete a number of case studies. If the tutor is happy with their submissions will they are awarded their qualification. Congratulations! NB. If you are looking into training in becoming a lash technician this is something you should look for along with ongoing support from your tutor. Lashing is a little like learning to drive, your tutor gives you your license. It’s only then when your behind the wheel on our own that you really start to learn, gaining knowledge and experience. Once trained, lash technicians do have the freedom to roam around the lash market and choose their own brand of lashes and adhesives etc. (Tip 1) Check out their before and after pictures! You want to see that there is no clogging of glue, lashes are straight and bonded neatly to the natural lash with no lifting. Another key point, have a good look at the after picture for irritation and redness. If the lash pads are applied properly eyes should not be irritated. However don’t get this confused with watery eyes, if a strong adhesive is used this can cause a few gentle tears. (Tip 2) Friend recommendation. Not only will you be able see the results up close, you will also have a good idea as to how long they last. An extra bonus is that most salons (like ourselves) offer a recommend a friend scheme! Meaning you will both benefit!! The curl – If your existing lashes are straight, curly, small or pointing downwards then this is one of the things your lash technician will take into account when deciding what curl style will suit you best. Along with the look ‘you’ are trying to achieve. The length – Your own lashes should determine the length of your extension. Your eyelash extensions should not be more than double the length of your own natural lashes, ideally a tad shorter. For maximum effectiveness, lifespan and lash health you want to have the lash extension no longer than your own lash length + ½ (max). The thickness of your lashes – The thicker and stronger your own natural lashes are the happier they are to support a thicker/longer lash. If you have fine lashes then the length of the extension will certainly determine how thick your eyelash extensions could be. For short fine lashes you could look to have maximum length but thinner eyelash extensions. When I first started we didn’t have a choice in thickness or style, it was more about two basic shapes of curl and their lengths which started at a minimum of 10mm up to 14mm (5 lengths). When the length of 15mm came on the market it nearly blew our minds 😉 Over the last 5-6 year the thickness of lashes has changed from to 2 types to 7, the range starts at 0.05mm to 0.07, 0.1, 0.12, 0.15, 0.2 and 0.25mm. The lengths have also increased to, now starting as short as 6mm to 15mm (10 lengths) and the curl of the lash comes in J, B, C, CC, D and L.
I can actually say I have never used! They are mainly given to therapists who are just starting out as they are easier to pick up between tweezers. Unfortunately they are super thick, heavy on the natural lash and look fake! I can understand you may think the bolder the better but ladies in my honest opinion there’s faking it and there’s ‘faking it’. These lashes will most certainly damage the natural lash especially if additional length is added. Is also a rather thick lash, again used for beginners. Unfortunately again continual use of this thickness is a risk with natural lash health vs lash extension. I try and use this explanation with my own clients, ‘If you were really tall and had tiny feet, would you manage a heavy backpack’. Please take into account your own natural lashes and the advice of your technician. But before you do consider whats more important, maintaining lash health or getting the look. This thickness is becoming more common with most lash technicians, they are readily available and most lashes can tolerate the weight. There is only 0.05mm in difference with the above thickness but they will certainly be kinder to your natural lashes. Time for my personal favourite 0.12mm! They look like your own lashes but better! If applied correctly you can achieve amazing results even better than what you can achieve with a good mascara. Perfect for an every day, glamorous look and no one would necessarily know you were wearing eyelash extensions. They even allow a good length extension on your own natural lash, woop! 0.1mm is on average the same thickness as your natural lash. Classic lashes with 0.01 thickness would look very natural. They are extremely suitable for fine and twisty lashes providing a longer and fuller look. The clients who use these lashes are generally aiming for a more even length or longer natural look to their own existing lashes. These have the least amount of curve of all eyelash extensions. This style lash extension is great for the straighter lash client. The main body of the lash is straight with a gentle lift at the tip. Having a straighter shaft on the lash extension can give a greater surface area for the extension to adhere. A curlier lash would only have minimal surface to surface adhesion, so a j curl lash extension would definitely last longer. However that isn’t to say a tighter curl can’t be used, but a j curl you may find more manageable. 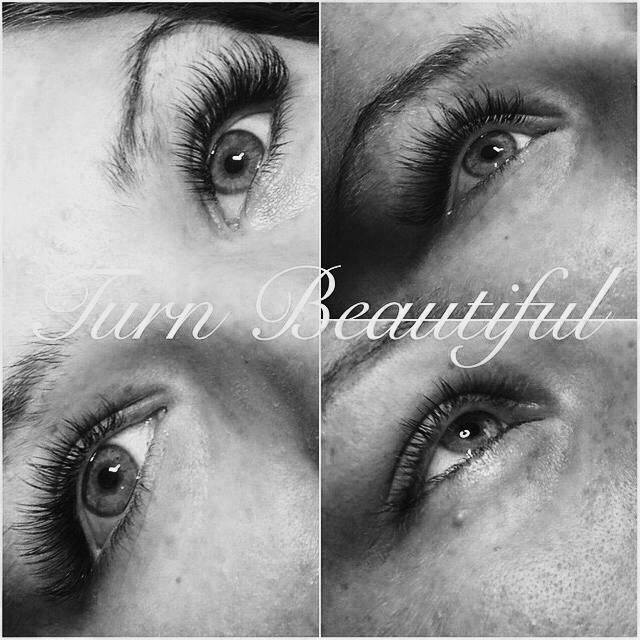 These eyelash extensions are best suited for clients who would like to add a curl to naturally straight eyelashes. These eyelash extensions are not as straight as the J-Curl but not as curved as the C-Curl, giving extraordinary results to ordinary straight eyelashes. B-Curls are gaining in popularity with clients desiring a very natural look and are also used to add a fluffy texture and volume effect to a set of classic lashes. This I feel is the most popular curl (especially at Turn Beautiful) it provides the lovely flowing curl that we would hope to achieve from the use of lash curlers or a lash perm. It also, if the appropriate length is applied to the lash, gives a gently lift and will help open up your eyes. These as you may now be able to work out is a much tighter curl. These eyelash extensions are best suited for clients with a natural curve to their lash or short lashes but are also very popular with clients who seek a bold, stylish and glamorous look. I personally combine short D curls with longer C curls,to create an effective ‘fluffy voluminous’ lash design <3. Please note the surface area is minimal when used on straighter lashes so care should be taken to increase their lifespan. This lash was designed for extremely straight, downward pointing lashes. I’m sure those that understand this frustration have in the past bought heated lash curlers, tried perms etc. This could be your answer 🙂 Also known as a ‘tick lash’ this style eyelash extension gives a very dramatic look. This curl has a sharper lift which makes it ideal for clients with naturally straight lashes or a heavier eyelid. It can make the eye appear more open than normal. The base of the eyelash extensions is positioned on the straight lash giving maximum surface area for adhesion. The flick of the lash points directly upwards like a tick. This lash gives an instant lift and the impression of long, natural lashes. Note the ‘tick’ needs to be held in position a second or so longer than usual to ensure it has fixed in position. I hope all this helps you to decide on your perfect look, and even aid any budding lash technicians!